Prominent & Leading Manufacturer from Mohali, we offer sensor taps. 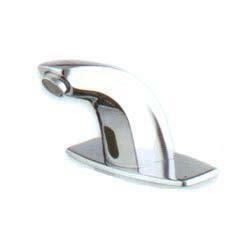 International quality bath fittings. Brought to you by NSC ELECTRONICS. Scientifically designed. Painstakingly crafted and molded in chrome finish. The stunning robust body and gracefully flowing design is sure to steal your heart. Discover the fascinating fusion of aesthetics and technology play a dramatic effect in your bathrooms.